The June 2013 issue of Bon Appetit had a feature written by Michael Paterniti, entitled “Consider the Lobster Roll” and an accompanying recipe, “Bon Appetit’s Ultimate Lobster Roll.” The title recalls David Foster Wallace’s piece in Gourmet, “Consider the Lobster,” an existential treatise, complete with multiple hilarious footnotes, on the ethics of eating lobster at a summer lobster festival in Maine. This article contained a history of the lobster roll, all of the considerations – the bun, the dressing, the amount of meat, and a chronicle of the author’s assignment of tasting the many permutations of lobster roll served at seafood shacks up and down the coast of New England. By the way, where can I sign up for that job? OK, on to the review of “Bon Appetit’s Ultimate Lobster Rolls.” I think it’s a great recipe that gets everything right. 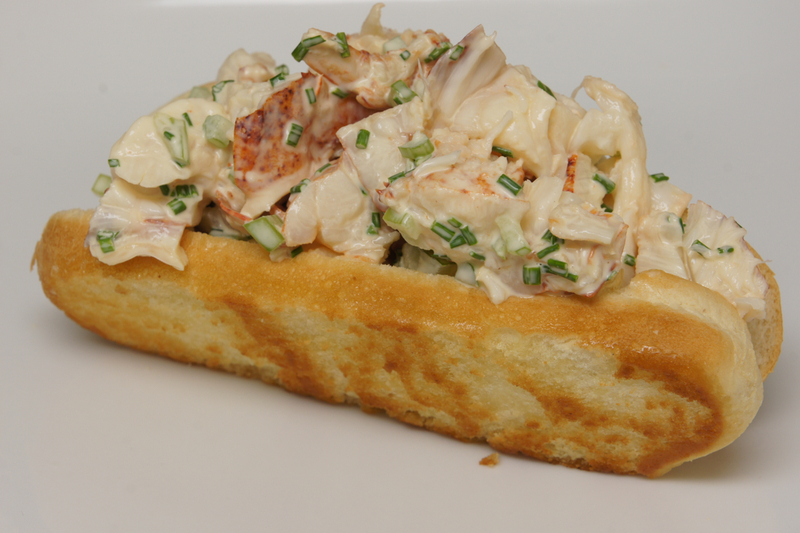 The lobster meat is dressed in a light amount of mayonnaise and lemon, with celery for crunch and chives for color. Bon Appetit knows that the bun is critical. It has to be a New England style hot dog bun, where there is no crust on the side and can therefore be toasted crispy in butter. If one can’t get the New England style buns, then cut the sides off of regular hot dog buns.